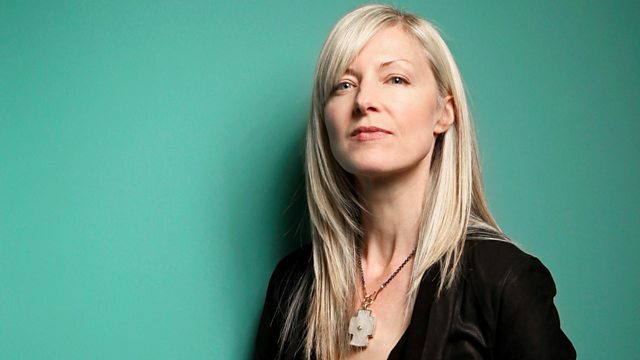 As tattoos become ever more visible on the bodies of the great British public, Mary Anne Hobbs explores the meeting point between the world of fine art and the world of tattoos. As tattoos become ever more visible on the bodies of the British public, Mary Anne Hobbs explores the meeting point between the world of fine art and the world of tattoos. She talks to Spider Webb, the tattoo artist credited with creating the first conceptual art tattoo and the artist Sandra Ann Vita Minchin who is in the process of getting a 17th century Dutch masterpiece tattooed on her back. She visits art historian Dr Matt Lodder who is writing what will be the first art history text on tattooing. She meets Alex Binnie, proprietor of Into You Tattoo - one of the first tattoo parlours in the UK to openly fuse fine art and tattooing. The writer Shelley Jackson caught public attention worldwide when she launched her Skin project in 2003. Skin was to be a short story which would exist as over two thousand words individually tattooed on volunteers. These participants would become the words in Shelley's story. As the project celebrates its 10th anniversary, Mary Anne talks to Shelley about the inspiration behind Skin and she meets one of Shelley's words - the novelist and short story connoisseur Nicholas Royle. Mary Anne discusses how fine art is influencing and being influenced by tattooing with Sion Smith, editor of Skin Deep, the UK's best-selling Tattoo Magazine and Trent Aitken-Smith editor of Tattoo Master. She talks to one of the new generation of tattoo artists, Amanda Wachob, who sees skin as the ultimate canvas. A Mortal Work of Art explores a practice often portrayed as a marginal pursuit, but that is most definitely mainstream today, and asks why the art establishment has taken such a long time to embrace it.